This site of an abandoned Albertson's grocery store is available and has also been available for the past four years and likely will be for many more years to come. It was no longer profitable to Albertson's corporate bottom line so they skipped town. How long do the people who live in this area have to look at it before it is torn down? How many thousands of dollars do the people who own this building get in tax write-offs each year? Where do the rights of local citizens fit into this economic picture? We need to start asking these kinds of questions of our city leaders. As for as the ROI for the Garland citizens on this property, I'm fairly certain that we are in the minus zone. For example, in 2013 stagnant water, a breeding ground for mosquitoes, sat for over a month in an area in back of this building, an area where grocery products were once unloaded. I called our city to report this health hazard and then monitored the situation until it was finally handled four weeks later. It will be you and I as citizens who live in urban areas who demand that steps be taken by our local government leaders to prevent urban blight BEFORE it happens. It can be stopped and it should be stopped. Not only are these abandoned sites an eyesore, they are also major contributors to the pollution and even health issues of the local environment and an ongoing expense to people who live in the community. It might be interesting to drive around one’s city and add up the tillable acreage that is currently covered in unused (or at least 80 or 90% unused) concrete and asphalt. This is a huge issue nationwide, but like all issues nationwide, it is one that can likely only be solved at the local level by local people who demand it of their local leadership. Planners for new urban retail commercial developments continue to follow the tradition of our nation’s long “westward ho” history of poor land management and city leaders continue to allow them to do so because the short-term advantages of the development offer a temporary shot in the arm to the local economy. Planner and developers take advantage of local communities and this needs to change because in the long-term it's the people in the local community who pay the real price. What private/public partnerships often amount to is the private part covers the profit side of the ledger while the debit side of the ledger is ultimately the responsibility of the public--and long after the private folks have packed their bags and left town. As the land wore out throughout the 19th century and was no longer suited for growing food, due to poor land management by farmers, they continued to push westward all the way eventually to the Pacific Ocean. Also, ironically many of our cities were built up on some of the richest farmland in the nation and today is covered beneath layers of asphalt and concrete. This model continues to be a land management model that is followed today in our urban areas by developers of large shopping centers and sprawling industrial office sites. Again if you question this, drive around your own city and calculate the acreage covered in asphalt and empty buildings. In my own neighborhood I can walk to a spot that has approximately three acres covered in asphalt and a building that has been unused for almost five years now—the site of an abandoned Albertson’s on 78 at Naaman School Road. The building alone must be about two acres. Leaders of local governments have moral duties develop laws to protect the public they are supposed to represent from situations such as deteriorating buildings, which for all practical purposes have been abandoned by those who developed them. If all the unused/abandoned malls, shopping centers and industrial business complexes were put on the EPA list of superfund sites, we would have millions of sites all over the USA that continue to harm the environment and the people who live nearby—millions of sites needing remediation. Then we would have a more accurate picture of the true levels of land pollution that we have allowed in the USA. As with almost any problem, prevention is the best cure. To stop this disease of urban blight and pollution, we need to ask the leaders of our local governments to inoculate project plans with provisions to protect the public from what amounts to irresponsibility of the original planners, builders and users of these spaces. Create provisions in the contracts that make these original planners, builders and users of these spaces pay the cost for environmental remediation up front for these sites once they are finished with using them and decide to move on and out of the community. This money would be set-aside in a special public fund as insurance against that day when these people decide (and they will) that it is no longer profitable for them to use and maintain the site. It would be part of the requirements prior to even issuing the permits to build. It’s useless to try to collect after the damage has been done because by that time the property has often changed ownership more than once and the lines of responsibility are blurred. No new shopping centers and urban office complexes should be developed on vacant lots and virgin land while there are abandoned ones in existence within an urban area. This may sound harsh, and I can hear the protests—“the planners will go elsewhere.” Let them. If we don’t, then we are just perpetuating a continuation of the current problem and encroaching urban blight. You can bet your bucks that just about any new commercial/retail/business development undertaken today will become just like the others in 20 to 30 years. This is a situation that needs to end and it won’t happen without “tough love” from city leaders. The public should be protected from what amounts to the irresponsibility of these people. No property should be allowed to sit for years and deteriorate while the owners continue to do damage elsewhere and use the deteriorating property as a tax write off. This is so wrong should be considered a public nuisance. After one year, local government leaders should take action on behalf of the majority of the people they are supposed to represent. Urban Agriculture Doesn’t Just Happen. It needs to be planned. As long as we are talking about city planning and new provisions that need to be added to their documentation, we can add specific and clear requirements and provisions that provide for supporting and increasing urban agriculture within the boundaries of the municipality. Urban agriculture should become, and indeed is becoming in many cities, part of their short-term and long-term planning process. Any city plan that does not include provisions and funds set aside designed to increase food production within its municipality is a city plan that is selling its citizens short. The Development and Promotion of Urban Agriculture Is an Eco-Political Issue. Who actually pays for empty storefronts such as this one which was once an Albertson's here in Garland on Hwy 78? The store was closed in early 2011, over four years ago. With the exception of its use as a once-a-year Halloween Costume shop, the building and its huge paved parking lot continue to deteriorate. It's a good question. Does the developer who built it pay for it? Does Albertson's who used it for years pay for it? Where does the responsibility rest? Commercial and industrial developments for the past 40 years have primarily catered to a global market and to shareholders who don’t even live in the communities where these large shopping areas are established. This model, for the most part, has failed local populations all over the USA. Promotion of this model by local community leaders has destroyed the ecological balance and environment of local areas all over the USA and in many cases has even made local residents ill unto the point of death in the process. We need to seriously and deeply change the model and its rules that we have been following for the development of urban properties. This is not going to happen without the active involvement of local residents who are willing to work to develop more locally anchored businesses that cater to the local population—businesses that are owned by people who live in the places where their businesses are located. People have a higher vested interest in the quality of life and the ecology of the place they call home than they do in their investments that are managed halfway around the world. A lot of arguments are put forth regarding the “value” of property in commercial areas being developed for commercial and not agricultural purposes. Unfortunately, the only “value” often considered is the immediate dollar value today for a few people and not the larger price tag paid by society as a whole. For example, a retail shopping center built on a commercial site will likely generate more money for its owners and developers than an urban agricultural site—at least for the first 20 years or so of its life before it begins to go out of style. Cities all over the USA are filled with empty and near-empty malls like Collin Creek Mall whose designs have become dated and consumers have moved on to the latest “bright shiny object” which in our area for the moment is Firewheel Center (no longer fashionable to call it a “mall”). They all seem to have about a 20 to 30 year life span. Instead of refurbishing the existing center, or even tearing it down and building on that site, here comes another developer who “goes into partnership” with taxpayers and builds another bigger and better shopping area some place else—often on undeveloped land that should be used for agricultural purposes. In the meantime, the local environment is left with the skeletal remains of what was once fashionable and its acres of earth paved in asphalt. This development model is so wasteful and harmful to our environment that it should be against the law. No doubt the increasing decay of such a site also devalues the selling price of surrounding residences in the area—thus creating more hardships for local residents. Urban agriculture can promote and protect the local ecology, economy and environment as it is intertwined within the social structure of local markets. Urban agricultural standards that follow a sustainable model can enrich the quality of life in urban areas while increasing the overall food security and food diversity in our nation. Lack of imagination could be the largest stumbling block to developing urban agriculture into a commercially viable force that will help anchor a local economy and in general improve the quality of life for the local people. We don’t really have a plethora of examples yet for urban agricultural models, but the good news is that we do have some and the number is increasing. Urban agricultural models should be designed to serve two primary purposes: to provide inviting green areas for the people who live nearby to visit; to produce plant material that can either be consumed as food by the local population and/or can be used in commercial production of a plant-based product. These two purposes are intertwined with other social values as well. For example, urban farms can be places for learning and education where young people in the community can become acquainted with the source of their food. Urban farms can be training centers for people to learn how to grow some of their own edibles in their own back yards. Urban farms can be places where people come to relax in a natural setting. In my ideal city, a small urban farm would be within walking distance of every resident in that city. In my ideal city there would be at least as many urban farms as parks. Requirements for adequate green spaces and urban agriculture need to be built into the RFPs that our local government leaders issue to developers and builders. This is a starting point. Decades of ecological and economic concessions to “attract business “ to local areas have resulted in empty storefronts on Main Street and over 1,000 Superfund sites in our nation. It’s time to stop developing urban land the way we have been developing it. Ultimately it is we on Main Street who are left holding the wet paper bag and paying for the damage done by outsiders to our local communities. “Business friendly” should not be allowed to override “local people-friendly” and “local environment friendly” aspects of local economies. It’s time for Main Street to stop bending over and to start insisting on the inclusion of urban agriculture and more green space in developers’ proposals. After all, these developer are the ones making millions of dollars on the deal—not the people who live in the community and on Main Street. 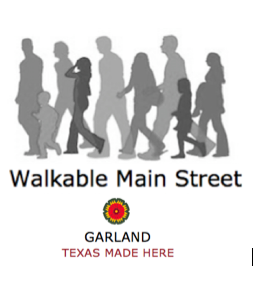 The Walkable Main Street Village may be a proposed project best developed by a group of local citizens who form a cooperative and a coalition that includes existing business owners of this defined area, downtown merchants, residents of the downtown apartments and other interested residents of Garland Texas. That’s a sizable group of folks. We all share some common goals of making this area healthier and more attractive--doing so is in the personal best interests of all these people. Together we could make this project happen and in such a way that it won't cost millions in bond issues and other expenses for taxpayers. The realization of this vision could become an example that might be followed in other areas of our city as well as in other blighted urban areas across the USA. Visit the "Sustainable" tab of Lovinggarlandgreen.org. This project is proposed to leave things in place in the area and to build around them. Furthermore, this project is dedicated to preserving as much of the currently existing green space in the area as possible. One of its purposes of this project is to promote urban agriculture and the value of a local plant-based economy. Yes, plants can support industry and new businesses. In fact, plants and urban agriculture are among the few sustainable ways to grow local economies by actually creating new locally-based products and developing local sustainable markets for these new products. Commercial builders do not make their money by preserving green space. What most commercial developments in the USA do is to bring in chain stores to the local area, encouraging local residents to buy goods they often don't need and even go into debt to purchase. Most of the money local citizens spend for these goods is sent overnight on a daily basis to the corporate headquarters where these chains are located. The lion's share of the money earned by these places does not remain to be recirculated within the local economy--some studies indicate as little as 15% of all the money taken in by these chains remains in the local economy. As for the jobs provided by these chain stores: by and large most of these jobs do not pay a living wage. The commercial builders who create these retail centers make their money by building concrete and steel structures and laying down asphalt and more concrete on the ground and then charging rent to the chains who put in their businesses in these places. Often this translates into using cheap construction materials and unsustainable designs with little or no green space. As far as I'm concerned, we need to stop supporting these unsustainable business practices that tend to harm, not help, the majority of local populations. We need to turn our focus to projects that are truly local in nature and that will support local economies as a priority as opposed to supporting business entities who are not anchored in the local economy, who give lip service with minimum wage jobs and who build concrete and asphalt expanses that ultimately pollute local groundwater. What we don’t need for the Walkable Main Street of Garland Texas is another slick commercial/retail development. This Walkable Main project offers something new and entirely different. Among other things, it offers sustainable connectivity to people already living and working in and within walkable distance of the proposed area for development. 1) Residential with the addition of approximately 30 to 50 homes—all at 1000 square feet or less (the size all but one of the homes currently in this area). These homes would be clustered in groups of 10 on a lot sharing common green spaces and built according to the sustainable design principles of architect Ross Chapin’s pocket neighborhoods. Any parking spaces associated with these homes would be made of permeable surfaces such as crushed granite. 2) There would also be a few farm buildings associated with at least one urban farm proposed for this area in part of the currently available space between Austin and State Streets. 3) Perhaps the addition of one locally owned walkable grocery store might be included. 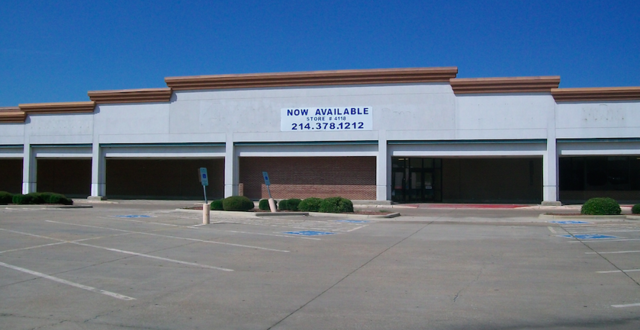 However this walkable grocery store could be located on the downtown Garland Square in one of the vacant storefronts and thus reinforce walkable connectivity between the Walkable Main Street Village and downtown Garland. This would not be styled after a modern convenience store but more along the lines of the old time grocery stores in look and feel—a style and charm similar to the interior of Roaches Feed and Seed of a bygone era—a style more in keeping with the exterior of the store fronts around the square. Perhaps it could even be established as a neighborhood cooperative. Furthermore, we believe the preservation of a large part of this green space is important not only for the people who might move into the area as residents, it is also essential for several 100 residents currently living and slated to live in the urban apartments being built for our downtown area only a block away. Currently the people living in the downtown area of Garland have no green space of any size within walking distance of their apartments. This area is largely one huge expanse of concrete—not exactly designed for healthy living. Walkable Main Street Village would provide a walkable connection to green for them. It might be interesting to do a study that calculates how much usable green space is available within walking distance to all the residents and proposed residents of downtown Garland. The careful development of Walkable Main Street Village as a sustainable mixed-use area with an emphasis on preserving and enhancing green spaces—especially using them for the development of urban agriculture—is a path that will help all (both economically and physically) who live and work in this area. In fact, this area would also be beneficial to all the people living in the DFW area because of educational benefits that could be provided to visitors regarding urban agriculture and sustainable living within an urban environment. This is a unique and huge opportunity available to us here in Garland. It will be interesting to see the direction, if any, that the development of this project will take. Way back in 1982, before many of you were born and I was just getting started in my business/technical writing career, I wrote an article that appeared in the IEEE Transactions on Professional Communications titled “How to Get Users to Follow Procedures.” The premise of that article was that people would follow instructions provided that the instruction was efficient, fair, tested and used the appropriate format. That article won the Gelman Hayward award for editorial excellence. Years later in 2010 I wrote a book titled FORMATS INFLUENCE OUTCOMES. If I were choosing a title today for that book, I would probably use FORMATS DETERMINE OUTCOMES because I’ve come to see that more often than not, formats do determine outcomes. The application of format as it applied to the content of this book was similar to that of the original article I wrote; however, I postulated format as having implications for all types of human communications including written and spoken. Results and outcomes are often controlled and constricted by forms that we are required to fill out. Nowhere do we find this more evident than in the outdated forms that are often used “for efficiency” sake by government agencies. Any form should be reviewed and updated at least every three years—yet almost none of them are. I thought about this morning when I was reading a document created by Gateway Planning that was submitted to the City of Garland for SH 190/Campbell Mixed Use Center Planned Development District. In their schedule of Uses Table I saw that “Agricultural Uses” were limited to Farm, Ranch, Orchard; Feed Store; Stable Commercial; Stable Private; and Stockyards.” And of course, naturally, there were no check marks in the related columns. Another thing about formats like this: they are inherently dishonest. For example, this list of items under “Agricultural Uses” is incomplete. Agricultural uses for any and all mixed-use proposals should include provisions for green spaces that occupy up to at least 5% of the proposed out door space in the area. Perhaps I missed it but nowhere in this proposal did I see even any mention of even minimal landscaping for this building—not even the perfunctory inclusion of a petunia bed. Is this going to be another expanse of asphalt and concrete? It appears that way. Until the leaders of municipalities change their expectations and the forms that define them in their RFPs, we can expect to get more of the same--urban developments of concrete and asphalt with less than 1% of the space devoted to living plants. RFPs for any new urban development should include in their plans space that is set aside for urban agriculture and gardens and green space--roof top gardens and more. Furthermore, any flat parking area needs to be a permeable substance such as crushed granite. We need to plan and design urban spaces where ecological and cultural values can be intertwined and this is not going to happen until we start asking for this from developers. Specifically, our city leaders need to write requirements for this into their RFPs and ensure that developers submitting proposals respond to these requirements. If you don’t ask up front for serious planning for the areas around a new development, you are not going to get it. The purpose of landscaping of commercial buildings has for years been treated as window dressing, a dab of lipstick, for the architecture of the building. It’s time that we advance to a different viewpoint of the importance of urban agriculture and the contributions that it can make to the quality of life in a community. Speaking of lips, it’s time we paid more than lip service to making our urban areas green. DISCLAIMER: I am human and I allow that I may have missed an extensive provision for green spaces somewhere in their proposal. If so, I apologize. Until/if then, however, in my opinion the photographs provided in theExhibit C of this proposal mentioned above look very stark to me. Only a few photographs showing scant shrubs. Commercial centers are planned for the consideration of the shoppers, the consumers who frequent them and who spend on average no more than two hours in the space. Not a whole lot of thought seems to go into consideration of the people who work there, the people who spend 8 to 10 to 12 hours a day of their lives in these spaces. In general, it's a disgrace how most workers in the world and even in our nation are treated. For example, more often than not workers are told to park in the areas farthest away from the center where they work. In some DFW areas DART services stop at midnight and thus workers who stay later (and many do) and use the transit system must walk several miles to the nearest bus stop. Little, if anything is for the convenience of the human beings who essentially live 1/3 of their lives in commercial areas such as shopping centers. That is a local disgrace. This needs to change. One of the ways it can change is with the provision of more green space in these commercial areas. There can be no doubt regarding the impact of green spaces on improved health of human beings--thousands of studies support this. A typical retail worker in the USA gets two 15 minute breaks and one 30 minute break for lunch. The green space to which they might escape must be a walkable distance of no more than a few minutes. These considerations for the people who work in these spaces should be spelled out in the RFPs that are submitted to developers. We can do things to correct this and furthermore, it's not that difficult. All it takes is some guts from local government leadership to spell out the requirements to developers in the RFPs they issue. Too long local governments have bent over backwards and given away too much to attract business into their communities. The result to date has been huge expanses of concrete and asphalt and in turn more pollution for local groundwater. Branding Cities: "Texas Made Here"
Peter Kageyama, author of “For the Love of Cities” strongly advocates that people not only love the place where they live, but that government officials and leaders of communities start using the word “love” even in their official documents. In fact, I heard Mr. Kageyama speak in October of 2013 at the Annual Neighborhood Summit here in Garland. He was my inspiration for choosing the name “Loving Garland Green” for the organization here in Garland who are the steward for the Garland Community Garden and who advocate for urban agriculture as an industry here in Garland. Peter Kageyama argues that we tend to take better care of people, places and things that we love. In the article mentioned above, Mr. Kageyama refers to our Mayor Douglas Athas as “brilliant.” Of course, this is an opinion I share, but now I have one more reason to support my opinion of our mayor. “. . . I met with Garland Mayor Douglas Athas and, as we talked, I mentioned that the cowboy hat claim was an interesting distinction for Garland. He smiled and said something that I thought was just brilliant. He said the cowboy hat capital distinction was “factually true, but not emotionally true.” He told me to look around as we walked through Firewheel Town Center, the city’s open-air mall. No one was wearing a cowboy hat. Garland is home to over 350 manufacturing firms. Thus, the slogan “Texas Made Here” is more inclusive and descriptive of our community. Another thing about our community and its current leadership is they and many of our citizens participate in hands-on efforts to make our community better. Our mayor and our City Council members take time to listen to and consider ideas that arise at our grass roots level. I know this from first-hand experience with them. Mayor Athas has been supportive of Loving Garland Green from day one. Just a few weeks ago when members of the Loving Garland Green Sustainability Committee hosted a walk-through a neighborhood we have dubbed “Walkable Main Street”, Council member Anita Goebel who is the representative for the downtown area of Garland was on hand to walk side by side with this group. Loving Garland Green is looking at this area, along with a growing number of Garland residents and outsiders, for its potential to be developed into one of the most unique mixed-use urban neighborhoods in the USA. 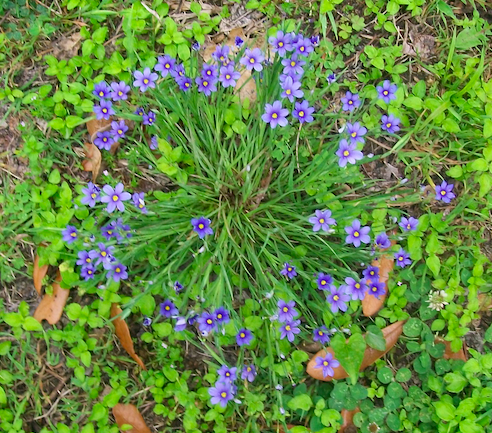 Those of us from Loving Garland Green are particularly interested it for its potential to have urban agriculture as part of its industrial/residential mix. We want to make sure that people realize the potential offered through the use of plants as products. The more our nation moves toward a health consciousness, the more important and valuable plants as raw materials for products will rise to the forefront. Agricultural products can be looked in much in the same way that any industrial raw material can be viewed—as potential to be packaged into something that can eventually be marketed and sold to the public. Plant products created by urban farmers and gardeners should be included in the mix of something to be “manufactured” within urban settings. In our own particular area, the blackberry offers the most potential as a money-making agricultural product. If we got enough residents in Garland growing blackberries, we could eventually support several new businesses dedicated to using this raw material. I invite all who are interested to review some of the documents in this document directory and get inspired. Think of what you might add and what you might bring to this venture. Then send your ideas to Mayor Doug Athas and Council Woman Anita Goebel. Let’s make the Walkable Main Street Village Happen. All of the documents in the document directory linked below are to be considered as brainstorming material to further discussion and promotion for the development of this urban area in Garland. None of these ideas have anyone's "official" approval. They have been created for inspiration and further collaboration. A friend asked me yesterday if Loving Garland Green's involvement with this project is "reasonable." My reply was that if the criteria of "reasonable" were applied to any of the major human achievements of the past 200 years, we would have close to none today, including the automobile and space travel. Vision and innovative ideas push the criteria of "reasonable" further out. Many of the things not considered "reasonable" or "feasible" become everyday occurrences because a few people decide to push the boundaries of "reasonable." Summer Solstice is the day the sun reaches its apex resulting in the longest day of the year and the shortest night. That day this year is Sunday, June 21. This day is said to be magical and spiritual to many countries and religions. We are having a potluck down in the garden from 5pm to 8 pm and/or until dark for those who care to stay. We won’t be having a bonfire, but there will be games, good food, good conversation and lots of fun. Children are welcome. Garland Community Garden 4022 Naaman School Road – Garland Texas. Guests are requested to please bring their own non-alcoholic drink and a dish. Summer solstice traditions center on the life-giving force of fire and light. Some countries such as Sweden light huge bonfires that glow into the night as a way to celebrate. The Midsummer fires came to be known as St. John’s fires (because John the Baptist was also conveniently born at the time of Summer solstice). Villagers gathered around the fires singing, dancing and chanting charms. As the fires burned through the night, people tended and watched over the leaping flames. Swedish celebrations are the most elaborate. Large gatherings take place in towns and villages throughout Sweden. A time-honored menu of pickled herring, boiled new potatoes served with sour cream, red onions, and fresh dill, along with grilled seafood (such as salmon) is served. In-season strawberries swimming in cream make up the dessert. I plan to bring pickled herring, some strawberries and some apples. 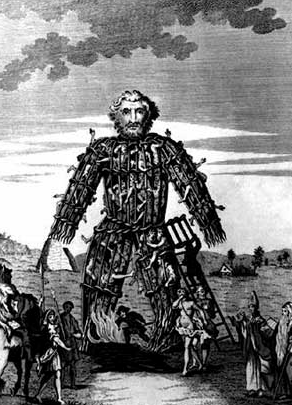 18th Century illustration of a Wickerman - but much smaller stick figures can be made from twigs and tossed into the fire. There are many different rituals associated with celebrating the Summer Solstice but the one most central to these celebrations is Wickerman who is represented as the King of Seasons. Often effigies of the Wickerman are made and tossed into the bonfire to symbolize the passing of a season. On the eve of the longest day of the year, twist together wooden branches into the shape of a man and place a piece of foil-wrapped bread inside it. Throw the man into a fiery pit, remove the toasted bread from the charred remains, distribute among friends and eat. 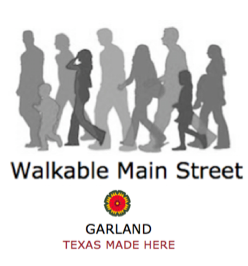 Walkable Main Street neighborhood of Garland Texas. This neighborhood is already a mixed-use neighborhood of residences and businesses. Now we have several folks who are looking at it and asking WHAT IF: What if we make this area walkable? What if we add Makerspaces in some of the existing businesses? What if we pave the stretch of .30 miles of Main Street that passes through the heart of this neighborhood with a sustainable surface such as crushed granite? What if we turn Main Street into one giant sidewalk (allowing for two-lane path down the middle for auto and bicycle traffic at 20 miles per hour and no cellphone use)? What if we add new portable businesses to this area? What if we add a micro-village of tiny homes within the larger Walkable Main Street Village and another pocket neighborhood of eight to ten, 1000 square foot cottages, all sharing some common areas? What does it take to build a vibrant, mixed-use neighborhood? It takes imagination, hard work, a willingness to discard old molds and rules governing how things should look, and most of all it takes a willingness and dedication of the people who live in the neighborhood to embrace and participate in the change. It also takes the involvement of elected government officials who make rules and design the codes that govern and control how that neighborhood can develop. A vibrant neighborhood is one that is interesting and one that attracts visitors and people who want to live there. A mixed-use neighborhood is one in which residents share their homes with nearby spaces where commercial businesses are located. A sustainable neighborhood is one in which the people who live, work and visit the area observe environmentally sustainable practices to keep the neighborhood safe and clean. What exactly is a neighborhood? There are many ways a neighborhood can be defined. Usually it is defined as a geographically localized community within a larger city, town, suburb, or rural area. Neighborhoods come in all sizes from large to small and can be defined according to all types of criteria. Vision is Achievable - At least some information serves to show how some of the suggestions are achievable to those reviewing the plan. An example might be the cost of certain materials related to implementing the plan. ("At fifty cents a square foot, crushed granite is an affordable surface, for a roadway that is less than half a mile.") The initial purpose of the first draft of the bold plan is to communicate the vision and inspire--not to lay out all the statistical detail related to the project. However, in order to attract people to the bandwagon of the vision, you need to provide a few facts to keep the proposal grounded. Bold Plan is Collaborative - The first draft of the bold plan is presented as a document that is subject to modification from resulting collaborations with others into a completed form. Walkable is Emphasized - Bold Plans for Mixed Use Neighborhoods emphasize walkable. Not only is walking healthy, it is also another example of sustainable living. If there are no sidewalks, or if they are in bad repair in the targeted area for the mixed-use neighborhood, the plan should include suggestions for making walkable sustainable paths. Most often these days those paths are not asphalt or concrete but rather more sustainable materials such as crushed granite. Connected is Emphasized - The sustainable neighborhood is a neighborhood that is connected in many ways. First of all, of course it is physically connected with its various paths and roadways. It is also connected in the shared interests of those who live and work in the neighborhood. In the example we are building with the project, Walkable Main, the businesses share marketing of each other’s products and services. Our model is also connected to the larger community outside the neighborhood though makerspaces in several of the existing businesses. Makerspaces make it possible for people to come and learn new job skills. 1. Map the borders of the particular neighborhood. Railroad tracks mark the western border of this neighborhood. First Street marks the eastern border of this neighborhood. Austin Street marks the northern border of this neighborhood. Avenue A marks the southern border of this neighborhood. 2. Walk through the Neighborhood. Walk through the neighborhood you have designated and record as much information as possible for every single business unit and residence located in the area in addition to information about the people who live and work in this area. Talk to them. Who are they? What do they want? What are their hopes and dreams? Record all the positive and negative aspects of each building in the area (residences and commercial). Observe the physical connectivity of the streets to the various units. Observe how easy it is to walk through this area. Think about what changes might be implemented to improve walkability. A sustainable neighborhood is one in which the people who live and work there also walk around their neighborhood. Be sure to identify the things that do seem to be working along with those that appear not to be working so well. Aim for a balanced picture of the neighborhood, as it exists. Few places are all bad or all good. 3. Identify the heart of the area and begin writing the bold plan by focusing on that area. In most instances when writing bold plans for a mixed-use neighborhood, the heart will be the area where mosts of the business are located as it is changes to these elements that will lead the transformation of the neighborhood. Initially free your mind from thinking in terms of strategies and tactical manipulations and what ifs and the codes and the political implications, and other limitations before you even start. Just look at this area as it is and dream how it might look if it better served the people who live and work in this area. Plans that are built from the heart inspire others to want to be part of the vision and make it happen. Inspired plans follow the same nature of optimism expressed by JFK when he proposed and projected the vision that we could land a man on the moon and return him to earth. It is with our words that we prophesize our own future so let’s choose them well. Note: Walkable Main (the goal of which is to create collection of malleable suggestions for building vibrant, sustainable mixed used neighborhoods) has begun with a walk-through of the 0.30-mile of Main Street that dissects this area. The results of this walk-through have yielded a list of the 27 businesses located on this stretch of Main Street. In another phase of the study we will look at all the businesses and churches within the neighborhood that are located off Main. 4. Make your plans public. Sustainable Mixed Use Neighborhoods are beginning to get serious traction. Sustainable mixed-use neighborhoods are the way neighborhoods were designed before World War II. After World War II, Americans stopped walking and began driving automobiles. Our neighborhoods changed and with this change, our zoning laws and codes. We became separated from the place where we work. Today many of us get in our cars and drive miles to get to work, returning home at night to our isolated fortresses in the suburbs. Many of us don’t even know or speak to our neighbors, the people who live right next door to us. We are isolated in our own neighborhoods. But things are changing. Part of this change is coming on the wings of the aging Baby Boomer generation. Always an adventuresome generation willing to try new things, many Boomers are now exploring new ways of living and new requirements are cropping up in the literature defining residential areas and neighborhoods. After people, the heart of all sustainable neighborhoods is the garden and urban agriculture. And that is where Loving Garland Green fits into the picture of promoting mixed-use sustainable neighborhoods! We would like to see every home in Garland growing at least some of the food their household consumes. We would like to see an uptick in the movement of our local economy toward that of a plant-based economy. If you live in Garland and would like to add information to this collaborative effort, please send your related offerings to Loving Garland Green. Contact Us. 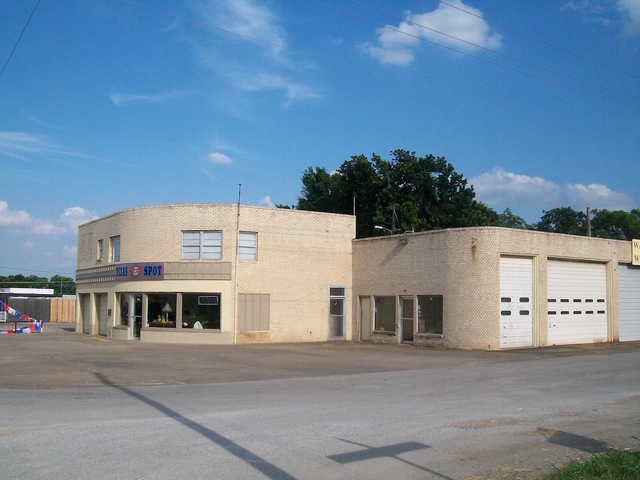 Along Walkable Main – Texas Hot Spot and Wallis Welding share this building. Wallis Welding is located in the right section of the building. The more people who have an urban garden, the better their community will be. Getting people to garden will create new businesses and will support existing ones. Thus, in addition to increasing the food security and the overall health of the residents in any community, urban gardens will also grow the local economy. 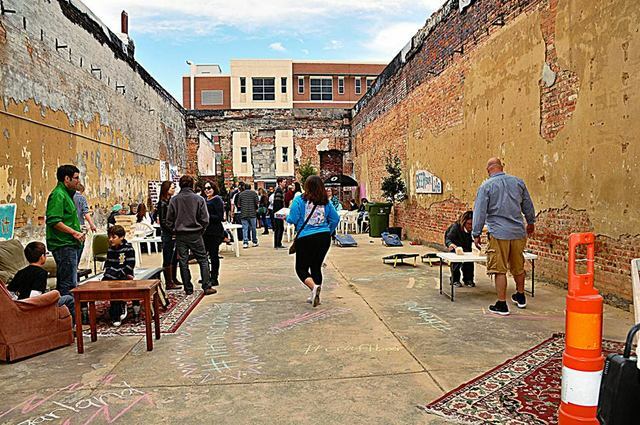 New markets can be created though the promotion of urban gardens and makerspaces on Walkable Main Street. Speaking of new markets, I was looking at an online advertisement from Gardener’s Supply Company. Their selections in metal yard art range in prices from $30 to $75. Now there’s a new market to bring into our community! And that inspired me to think more about the Walkable Main Street tour this afternoon. . .
Could Wallis Welding possibly have a Makerspace for Walkable Main? I think so. Wallis Welding shares space along Walkable Main Street with Texas Hot Spot. (Texas Hot Spot is a 501 (c) 3 nonprofit organization that purchases and sells items from liquidation sales. The money from these sales goes to support mission efforts in India such as the Bethany Girls Home in India, and Fresh Water Wells in Christian Churches giving fresh water to all who ask). Imagine the possibilities for artistic and practical commercial applications centered on creating tools, flower boxes, garden containers, and art for the urban garden! Imagine the potential profitability. The link in the paragraph above provides details for creating a makerspace. Plants can be used to support the businesses on Walkable Main. In addition to making Walkable Main more appealing to pedestrians, plants (particularly edible ones such as blackberries) can add dollar value to the area. Blackberry bushes (the thornless variety) grow extraordinarily well in Garland with very little attention. Two of the bushes in my yard since May 28 have produced almost 30 pounds of blackberries. Their current market value in the grocery stores is $3.99 for 12 ounces. Blackberry bushes could be planted throughout the paths along Walkable Main and even in the green space in front of Roaches. Blackberries produce from the last week in May up through the second week in July in our area. During the rest of the year their dark green leaves are pretty. We could make June Blackberry Month in Garland and build a festival with events around this designation. The plants along Walkable Main should be more than incidental landscape architectural decorations. They should be functionally integrated with additional purposes for supporting and growing our local economy. Loving Garland Green’s (LGG) Sustainable Living Committee, chaired by Anita Opel, is looking at ways to make the stretch of Main Street from the railroad tracks eastward to the intersection of 78/Main/First Street more vital and connected to the surrounding neighborhoods and to the larger community of Garland. We aren’t the only ones doing this. Other groups have also begun their own studies and investigations into how this stretch of Main Street can be made walkable. Interest in this project is definitely swelling and taking on a life of its own. Our LGG Committee for Sustainable Living has been discussing the topic of a more walkable Main Street since mid May. At our last meeting we decided to host a tour of this stretch of Main Street that we have unofficially christened as “Walkable Main”. The purpose of this tour is to collaborate and gather suggestions about how this area can be developed. At first, it was only going to be the committee, then we decided to include our membership, and now we have decided to invite anyone who is interested (which may or may not be scary). We are not expecting a lot of folks to show up (perhaps 20 perhaps as few as 6) because we know that people are busy. However, if you are not able to meet us in front of Roaches Feed and Seed at 6PM this Wednesday, June 10, you can still learn more about what we think a Walkable Main might look like by downloading these PDF documents. I have written three documents for this purpose. Wednesday June 10 6PM at Roaches is our starting point. We don’t hope to create a safety hazard for people. A friend of mine who is far more optimistic than I suggested that I request RSVP. I have walked the walk myself and even though there is only one sidewalk in front of one business on this strip of Main, there is plenty of room to walk without being in any danger from traffic. I am confident that we can easily handle as many as 30 people for this tour. After that point we would turn people back. Note: If we were to have 30, we would have 15 walking down the south side of MAIN and 15 walking down the north side of Main and then switching sides. Please, no children for obvious reasons of safety--not because we don't love them and welcome them to the world of urban gardens. Wear comfortable shoes. The tour will take about one hour. Change and the desire for real change in the design of our urban areas are beginning to gather momentum. In the beginning of the 20th century neighborhoods consisted of a mix of housing types and uses. Commercial uses were mixed with residential uses. These old neighborhoods were designed for social interactions and for pedestrian traffic and for easy accessibility to goods and services needed by the residents. Most people who lived in urban areas walked to work or took the streetcar. They were connected to the neighbors and the neighborhood in which they lived. Older cities developed close to their peak population prior to World War II seem to be not as severely affected by automobile-centered planning as those urban areas that experienced most of their growth after World War II. Minneapolis is one of those cities that did most of its growing prior to World War II. Suburbs such as St. Louis Park, Bloomington, etc. of course blossomed following World War II, but not so much the city of Minneapolis. Minneapolis has a population almost twice that of Garland, yet it has the feeling of a much smaller city because it is so much better connected. The city proper is tied to the old way of developing neighborhoods. I lived in Minneapolis from 1968 to 1988—in two urban areas: the Kenwood area and then later in the Uptown area. These are real neighborhoods with small and large grocery stores, large old homes, apartment buildings, apartments over commercial buildings, drug stores, cleaners, restaurants, bars, libraries, hair salons, doctor’s officers and office services all within walking distance of the homes in the neighborhood. The Uptown area where I lived my other ten years in Minneapolis is like a small village. Just about everything I needed or wanted was no more than a four-block walk from my home. Furthermore, if I wanted to go to a great art museum, The Walker, all I had to do was walk half a block, get on a city bus (that ran every 10 or 15 minutes) and in about 15 minutes I would be dropped off at its front door. If I wanted to go downtown to shop at any of the numerous stores located downtown and also in the warehouse district--again all I needed to do was to get on a city bus and I would be down town in no more than 20 minutes. Minneapolis is abundantly rich in water. Within the city limits it has twenty lakes and wetlands, the Mississippi River, creeks and waterfalls—most of which are connected by parkways. Once again most of the people who live in Minneapolis live within walking distance of one of these lovely examples of nature—nearly all of which are popular swimming holes for the neighborhood in which they are located. As a business and procedure analyst I took the bus downtown to meet with clients—nearly all of whom had offices down town. It was very convenient. I rarely drove my car. But even more important than the convenience were the social element of the neighborhood and the sense of being connected and belonging to people and to nature. I knew the people by name in the cluster of shops within walking distance of my home as well as many of their regular customers. We even had a few neighborhood characters—just as we did in the small town in West Texas where I grew up. I lived in a village within the city, yet my village was connected to the larger city. I knew the butcher from whom I bought my meat. I felt grounded and secure, a sense of neighborhood, connection and belonging. Then in 1988 I moved to the west coast to Huntington Beach, a beach city south of Los Angeles about 40 miles. The weather was great and the ocean even greater. In fact, were it not for my attraction to the ocean, I probably would have returned to Minneapolis within the year. The ocean was within walking distance (three blocks) from my home. It is a great and special connector to all of humanity for me. I could go there and swim or even just stand at the edge of the sand with the water of the Pacific lapping at my toes and feel connected to that comforting feeling that life will continue long after I am gone. I would remember that the water touching me had touched millions of people all over the world and creatures as well. The ocean is a great comforter and connector to the world, the past the present and the future. Other than the ocean, there is no center, no connecting heart to this city or any city along the coast that I could sense. Everything and everyone seem to be busily speeding by, lost to a sense of the present moment while living in the future of their next destination. For the first few months I felt lost and hopeless—sad that I had sold my home in Minneapolis. Sad that I was now living in a place that seemed to have no heart or soul. But gradually the ocean became my community and the place I visited daily for solace. Like most everyone else, I had to get on the 405 and often spend over an hour to travel to work—just as many people in the DFW area get on one of the Interstates or toll roads to get to work every day. You get used to it and eventually lose the sense of how disconnected you have become from other people who live right next door to you. Your world becomes more tightly circumscribed and limited to a few people and one loses sight of the bleakness of this disconnected existence. New Urbanism is a trend that is still in its infancy in the USA. According to Robert Steuteville, editor of Better Cities & Towns, www.bettercities.net, New Urbanism is a growing movement of architects, planners and developers who believe that a return to traditional neighborhood patterns is essential to restoring functional, sustainable communities. One of the more obvious early beginnings of the arrival of New Urbanism in Garland was heralded in 2008 with the construction of the mixed-use development of Oaks Fifth Street Crossing near Garland’s DART rail system. It continues today with additions of mixed-use development units being built in the area of the new Garland City Hall construction. Other smaller yet important evidences of creeping New Urbanism and its elements of a more social, human-interacting community-minded environment can be seen in the Garland public blackboard. In the fall of 2014, the Garland Youth Commission engineered the creation of this blackboard. 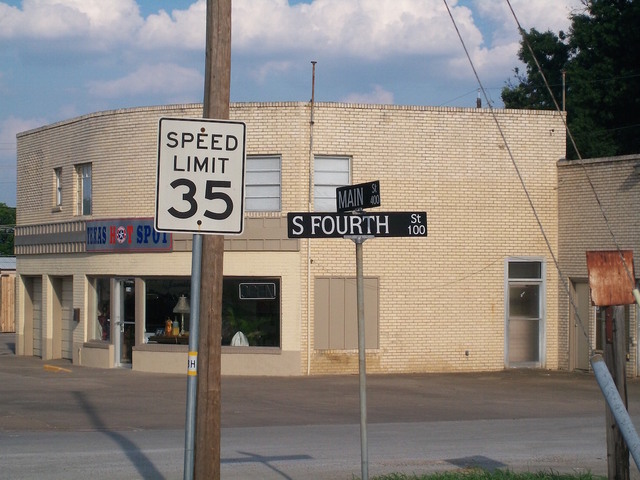 It is located on the State Street side of the Garland Civic Theatre building at the corner of Fifth Street. 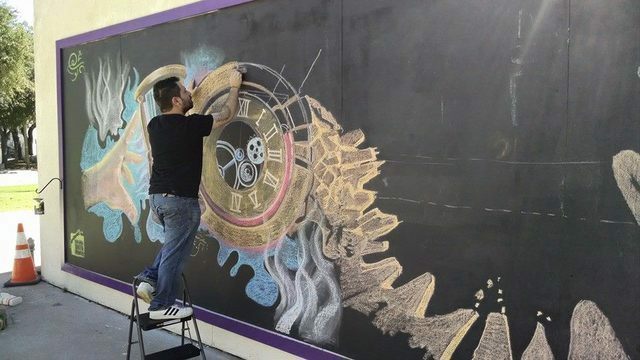 Lucas Cerevellini, a Garland resident who formerly taught art in Argentina was the first artist to display his work on the blackboard. People are encouraged to write and draw on the blackboard. Just across the street from the blackboard is 507 State Street—an innovative and creative happening space that is a burned out building on our downtown square. November 8, 2014 from noon to five Garland’s first pop-up food truck patio was launched with Rock and Roll Tacos, Steel City Popsicles, and Intrinsic Brewing’s craft sodas and beers. Since that time several functions, including a Ground Hog Day event, have been held in that space. Downtown Garland Business Association member Robert Smith and owner of the 507 State Street space, is the driving force behind these examples of creative New Urbanism in Garland. 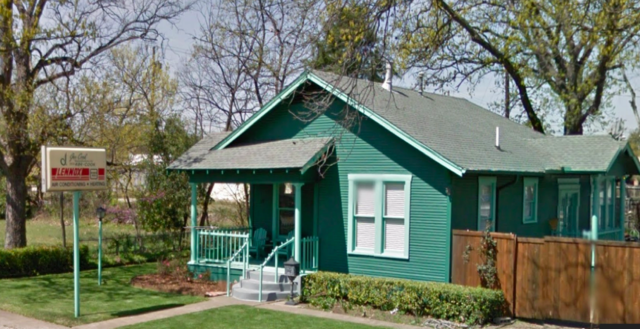 Authentic Neighborhoods—What do they look like? 1. The neighborhood has a discernible center. This is often a square of a green, and sometimes a busy or memorable street corner. A transit stop would be located at this center. 2. Most of the dwellings are within a five-minute walk of the center, an average of roughly 2,000 feet. 3. There is a variety of dwelling types usually houses, row houses and apartments so that younger and older people, singles and families, the poor and the wealthy may find places to live. 4. There are shops and offices at the edge of the neighborhood, of sufficiently varies types to supply the weekly needs of a household. 5. A small ancillary building is permitted within the backyard of each house. It may be used as a rental unit or place to work (e.g. office or craft workshop). 6. An elementary school is close enough so that most children can walk from their home. 7. There are small playgrounds near every dwelling not more than a tenth of a mile away. 8. The streets within the neighborhood are a connected network, providing a variety of pedestrian and vehicular routes to any destination, which disperses traffic. 9. The streets are relatively narrow and shaded by rows of trees. This slows traffic, creating an environment suitable for pedestrians and bicycles. 10. Buildings in the neighborhood center are placed close to the street, creating a strong sense of place. 11. Parking lots and garage doors rarely front the street. Parking is relegated to the rear of buildings, usually accessed by alleys. 12. Certain prominent sites at the termination of street vistas or in the neighborhood center are reserved for civic buildings. These provide sites for community meetings, education, religion or cultural activities. 13. The neighborhood is organized to be self-governing. A formal association debates and decides matters of maintenance, security and physical change. A Neglected Commercial Area Near Downtown Garland Could Become More Walkable and Connected to the Downtown Square. There is movement toward creating a plan to make the stretch of Main Street from the railroad tracks in front of Roaches eastward to the tri-corner of 78/First/Main walkable. Currently there are no sidewalks on either side of this stretch of Main Street. Typically what happens when such ideas bubble to the surface is that a committee is appointed by government officials to “study” the idea for about two years, then another three to five years are spent in hashing out a budget for the project and then figuring out how/who will pay for it. Finally about five to ten years later, part of the project may be implemented. Sorry for the cynicism, but this is often exactly what happens. I would especially like to see all the residents of Garland star in a different movie on this one. In fact, I see no reason why a walkable path can't be built in this area before the end of 2015. In my literal can-do world I ask: 1. How long would it take to lay a crushed granite walking path on both sides of this street? Really, how long? (3 days at the outside is my guess.) 2. How much would it cost? [Crushed granite typically cost $40 to $50 a cubic yard. It's not that expensive.] Couldn't we think up a fund raiser to pay for this and/or perhaps write a winning proposal and submit to some foundation that supports urban renewal efforts? Of course the walking path is not all that will need to be developed but it is the first layer after the issues of auto traffic in the area are dealt with. The landscaping around the walking path is the next consideration after the construction of the path. The path must be inviting and enticing to lure walkers into the area. We must think of things to place along the path that will keep people walking. I would like to see as much of this landscape as possible be edible landscaping such as blackberry bushes. Note: I’m not for naming the area “Old Embree Neighborhood”. I would prefer to have it called “Blackberry Trail” and plant at least 100 thornless blackberry bushes along this walkway and also more blackberry bushes in the triangular space in front of Roaches. Embree was at the intersection of State Highway 78 and the Santa Fe Railroad here in Garland. There was a rivalry between Embree and Duck Creek, but finally they came to an agreement and located their post office between the two communities. Then, on March 31, 1891 Embree and Duck Creek were incorporated as the town of Garland. Naming this strip of Main Street “Old Embree Neighborhood” is not even an accurate description of this area as Embree encompassed more than this strip of what is now Main Street. To help support (and hurry up) a proposed transition of this space to a walkable area, members of the Loving Garland Green Sustainable Living Committee, chaired by Anita Opel, have invited members of Loving Garland Green and any interested members of the public to meet us at Roaches Feed Store at 6 PM on Wednesday June 10th (weather permitting) for a Walk and Talk tour of the area. We plan to walk the length of this stretch of Main Street talking as we go and sharing ideas of what a walkable path through this area might look like as well as what types of interesting things could be placed along the path to entice people to keep walking. In addition, the walkers will be asked to provide input as to how the path could be funded as well as how certain spaces might be used and enhanced. Loving Garland Green will have at least three note takers jotting down the ideas. After the event we will write up the notes and post them on our Website. From there, what happens next will be up to the participants and the residents of Garland, Texas.